When starting a new skin care website design and development project, brands biggest mistake is most commonly found on their home pages and store pages. These two areas are the most vital and critical for brands. Also, they are the two areas most commonly responsible for poor or lack of sales conversion. The home page of a skin care website is the most important page of a site. 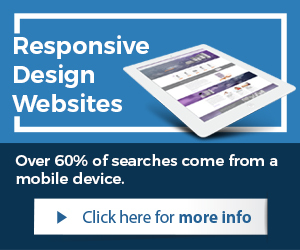 It is the main landing page for a brand and therefore the most critical page of a website. The most mistakes are made here on home pages, where inexperienced designers or lack of industry experience, causes poor design and development. Elements tend to be missed here that are vital for success, development done that does not allow for search marketing, and so forth. Next to skin care website home pages, the store overview page and individual product pages are most important. They are also mostly ignored in detail and customization. This drives poor conversion or complete lack of sales. The product overview page is many times a main landing page for skin care e-commerce websites and must therefore be detailed enough to drive conversion. Individual store pages are very often the last page a website visitor sees before entering the checkout process. They too must display all relevant details and information to aid the sale of the skin care product. To increase sales online, the website e-commerce store pages as well have to be designed, developed, and architect-ed correctly. Many storefronts are not customized properly or enough to convert higher. They at times are lacking certain elements to improve sales. Statistics already show that in most cases store abandonment is as high as 50%. This means every other website visitor who starts the checkout process, abandons it and does not complete the purchase. This increases the need to improve store pages for conversion. One of the best methods to motivate a potential buyer and customer is through product sales and promotions. It matters how certain products are offered as well. To increase sales online, a skin care website must give website visitors incentives to purchase products. Adjusting at times how products are offered can quickly produce results. For example, if a skin care website is not offering packages and is only selling single unit items, it will tend to have less sales. Customers like to buy combination of products that make sense to them. Buying a cleanser with a toner, an anti aging kit, or an acne treatment package for example. Offering combination packages increases drastically the potential for more sales. There are many ways to improve online sales and sell more skin care products through e-commerce websites. It is a continued effort of improvement, fine-tuning, and adjusting. Skin care brands must understand that they cannot always compare themselves to their competitors. 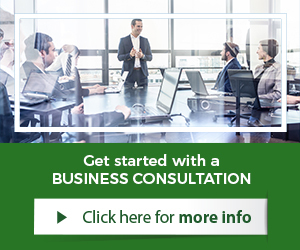 Working with experts such as through consulting services can be very beneficial. Increasing sales does not have to be such a mysterious process. A consultant can work with a brand to identify what can be improved upon on the website to have better sales results. One of the greatest benefits of working with an expert is that all improvements made through the consulting services will benefit the brand from that point on. Any improvement to the website will continue to yield that increase in online sales for the brand. Working through consulting services and with an experienced industry specific consultant can yield excellent results for a brand. Skin care companies have it very competitive online with the average consumer being highly educated and knowledgeable. These beauty consumers spend much time researching and conducting their due diligence on anti aging products, acne treatment, and other types of skin care products. 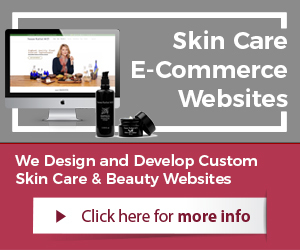 For a skin care website to convert higher in e-commerce sales online, a brand must understand conversion optimization techniques, website design and development, as well as the requirements of online marketing campaigns. An experienced skin care business consultant can assist a brand in identifying elements in various areas of the website that need improvement, re-positioning, or edits to increase sales. In most cases, it is either or the combination of the skin care home page layout, e-commerce store pages, and product offering that needs to be addressed. Home page layout is probably one of the most important if not most important area of a skin care website. Regardless of the e-commerce store pages or product offerings, the home page is critical to increasing online sales. The home page of a skin care website has to incorporate certain elements to support marketing efforts and the success of them. For example, if a company relies on Search Engine Optimization to gain website traffic, the home page has to have at least a 350 word SEO copy on the home page, preferably at the top of the page. Without scrolling a website visitor should be able to see this text copy. This is very important for SEO marketing campaigns and the success of them. Google dictates much of this in order to rank high within their search. The text copy has to be in alignment with the keywords, title tags, and Meta description. Brands that have only a large image on the home page, loose much momentum in growth ability when organically marketing their website. They simply lack the conversion elements of a home page layout. To often skin care brands mirror the look after a larger brand, which have different marketing budgets, market reach and already may have the needed traffic for e-commerce sales. Smaller brands and skin care companies that wish to grow online with traffic and sales, must realize that their home page layout cannot be like a larger brand. These larger brands may have a different strategy or are in a different position altogether. This is a very common mistake amongst beauty brand website designs.